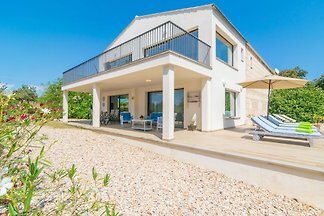 Beautiful property located in the countryside in Santa Margalida which offers views of the mountains and the village and accommodates 6 people (plus 1 extra). Welcome to this beautiful rustic house with a wonderful garden surrounding the great chlorine pool. Surrounded just by the peace and privacy of the fields, you will enjoy this fabulous finca with private pool on the outskirts of Santa Margalida. 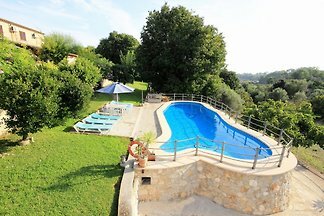 Charming 19th century farmhouse with elevated pool and 15 minutes drive from the beach, can accommodate up to 6 guests. Rent successfully your holiday flat or holiday home in Santa Margalida in only 20 minutes !